The perfect fall dish! Cooks of all skill levels will love this easy Thai curry recipe. 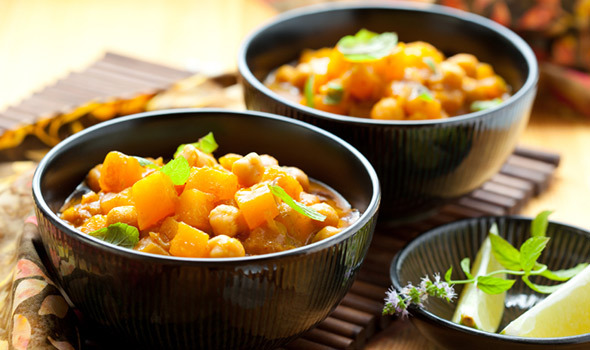 This delicious dish can be embellished with seasonal veggies and exotic spice. As part of a national campaign to encourage early detection and prevention of skin cancer, Deschutes County Health Services Department, St. Charles Cancer Center and local dermatologists are teaming up to offer free screenings Saturday, Nov. 2, from 8 a.m. to noon. Have you received your vaccine? Flu activity is low around the country, but it is expected to increase in the coming weeks, the Centers for Disease Control (CDC) reports. That means now is a good time to get your vaccine. Public health experts recommend getting a flu vaccine as soon as it becomes available. Vaccination before December is usually best, since this ensures that protective antibodies are in place before flu season peaks, usually in January or February. Make sure your home and workspace are wiped down frequently, especially in areas where children play. FYI: To learn more about the flu and the flu vaccine — visit the CDC. Does your child complain of abdominal pain, but doctors can't find an underlying cause? It's a problem that is so common in young people—boys and girls—that the National Institutes of Health (NIH) is funding a 13-month, multi-site study to investigate whether behavioral interventions can make a difference. St. Charles offers a number of support groups, including ones that focus on ALS (or Lou Gehrig's disease), brain injury, multiple sclerosis and Parkinson's disease. For more information about when and where each of these groups meet, click here.